Shake it up… literally! This Rosemary Truffle Popcorn is the perfect snack for Saturday night movie marathon or for a fancy party treat! 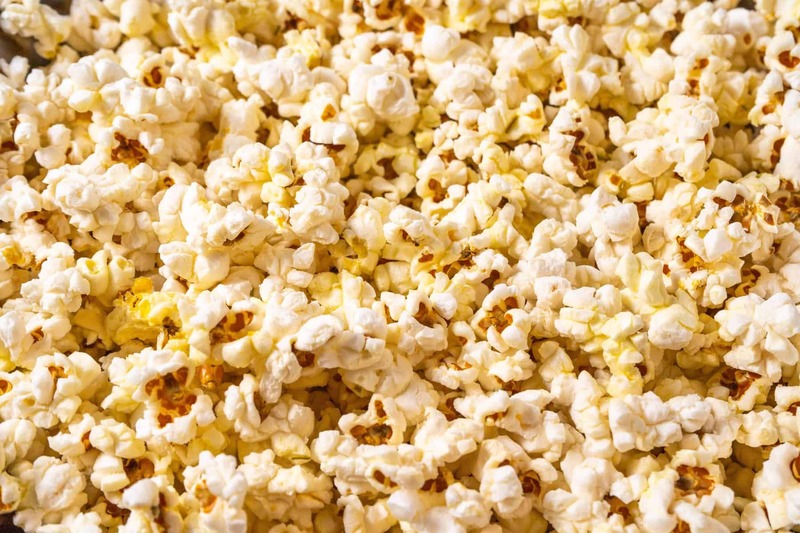 As you’re probably well aware, popcorn is an awesome snack because it’s a whole grain with a ton of fiber. Which means that you can eat a whole bunch of it without worrying about slowing down your bod. While popcorn is easy to buy and there are lots of healthy brands out there, I love to pop my own once a week or so for snack, and especially on the weekends! 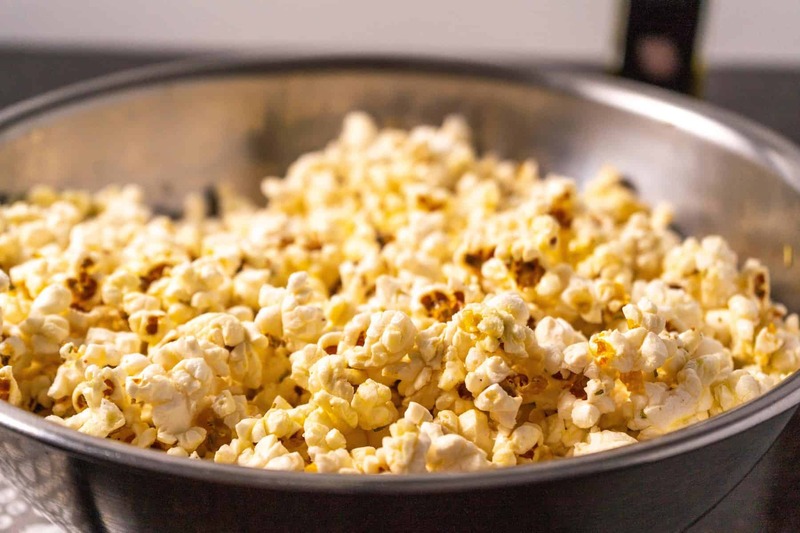 I don’t have a popcorn machine, so I use a small amount of oil in a hot pot to pop the kernels, shake it every so often to move unpopped kernels to the bottom of the pot and to keep it from burning, then listen for the popping to slow down. When you can count a full second between pops, it’s time to take it off the stove, pour the popcorn in a bowl and flavor it up! We shake up the flavors all the time, but this Rosemary Truffle Popcorn is our absolute favorite. There’s something about that truffle flavor that tastes super fancy and it’s wildly addictive. I swear by the Truffleist truffle oil (find it on Amazon! )… there may be other tasty brands, but this one is by far the best, most clean truffle flavor for the price! I always keep their Truffle Oil and Truffle Salt in the spice cabinet and toss it on all kinds of things (like these Truffle Parmesan Roasted Potatoes)! This Rosemary Truffle Popcorn comes together in less than 10 minutes, requires only 1 pot (and a bowl for tossing! 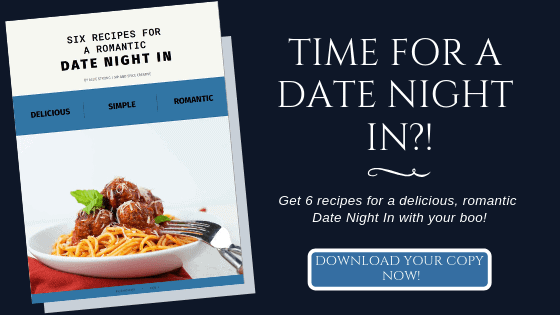 ), and 6 ingredients which you probably have in the pantry! In a medium saucepan, add the neutral oil and one popcorn kernel. Heat over medium-low heat until the kernel pops, about 5 minutes. Add in the rest of the popcorn and cook, shaking the pot occasionally until all the popcorn has popped. A good trick to listen for when the popping slows down and as soon as you can count 1 second between pops, turn off the heat. 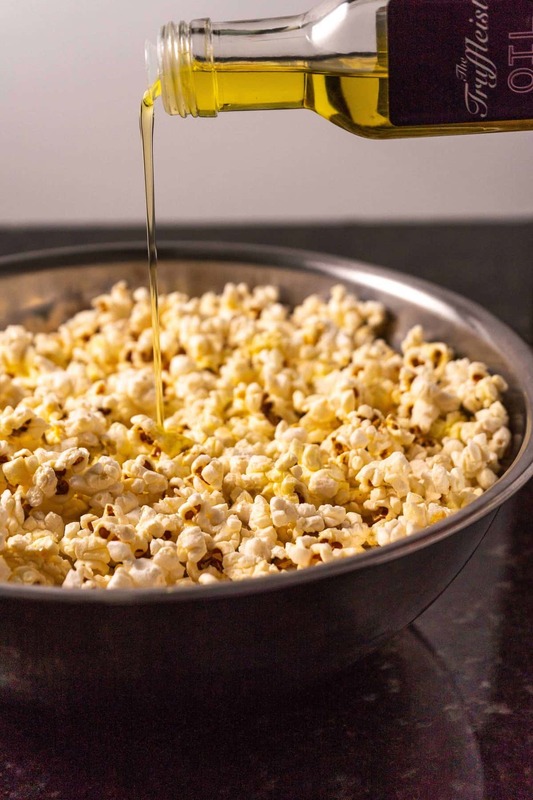 Add the popcorn to a large bowl with the olive oil, salt, rosemary and truffle oil. Toss well and dig in!